This is the second recipe I'm developing using Sabra's salsa. 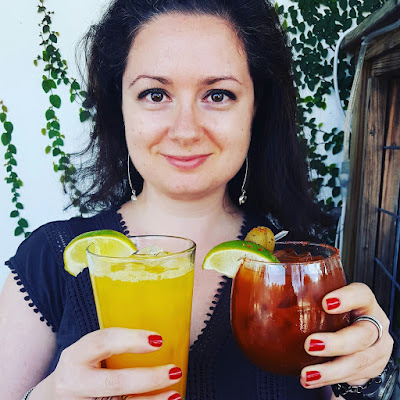 You can read all about my awesome trip to Bakersfield sponsored by Sabra and the first recipe I created: Sabra Salsa Burger with Peaches, Avocado & Sriracha Mayo. Make sure to check out Sabra's special website for their salsa line where you can find videos of farmers singing to tomatoes, coupons, sweepstakes and recipes. You can eat salsa directly out of the container, add it to cheesy dips, puree it into gazpacho or add it to mac & cheese. 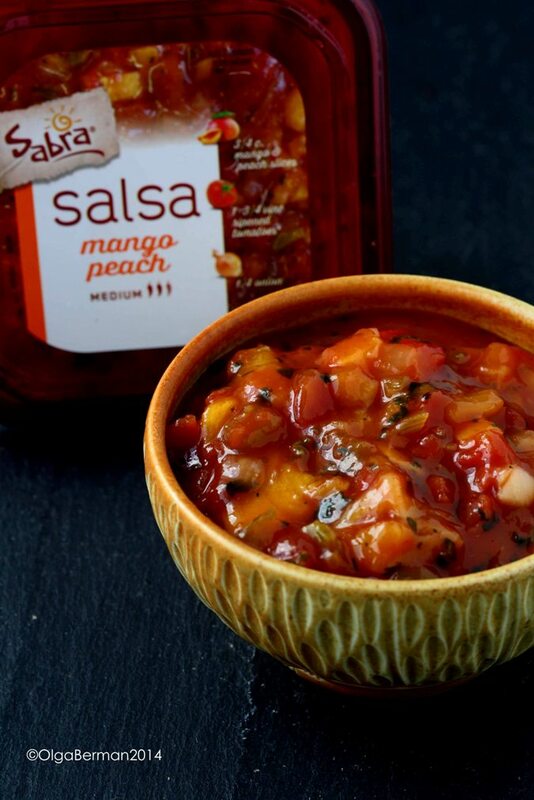 In this recipe I decided to use Sabra's mango peach salsa as the base for my marinade! Why? 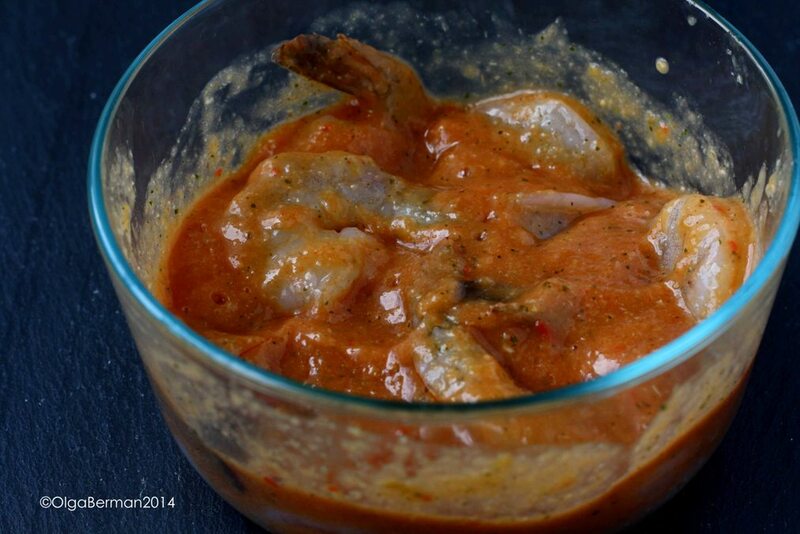 Well, it has great flavors and added sweetness to the marinade. Paired with horseradish and lime juice, the flavors really popped! 1. In a mini food processor puree 1/2 cup of mango peach salsa, horseradish and 1/2 of the lime juice. 2. 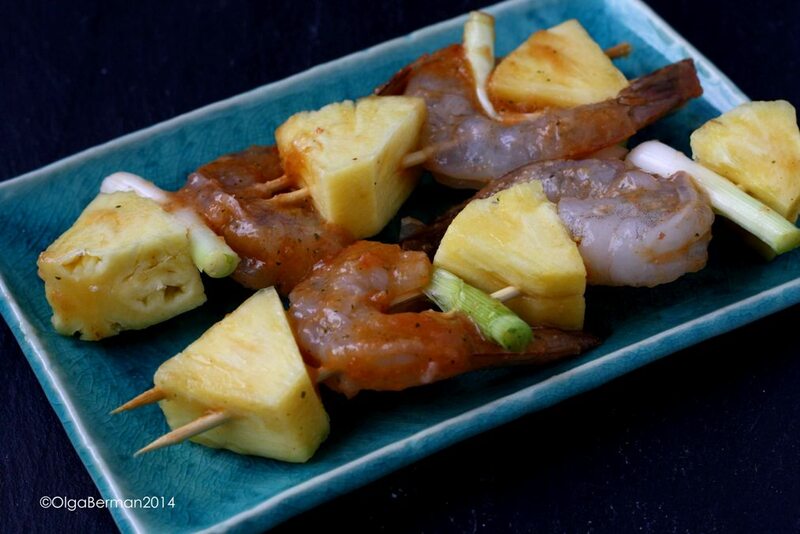 Pour the marinade over shrimp and let it sit for 30 minutes in the refrigerator. 3. My original idea was to make skewers: this was my attempt. HOWEVER, I did not realize that the pineapple chunks were thicker than the shrimp. So when I went to sauté the skewers, the shrimp did not touch the skillet: FAIL. 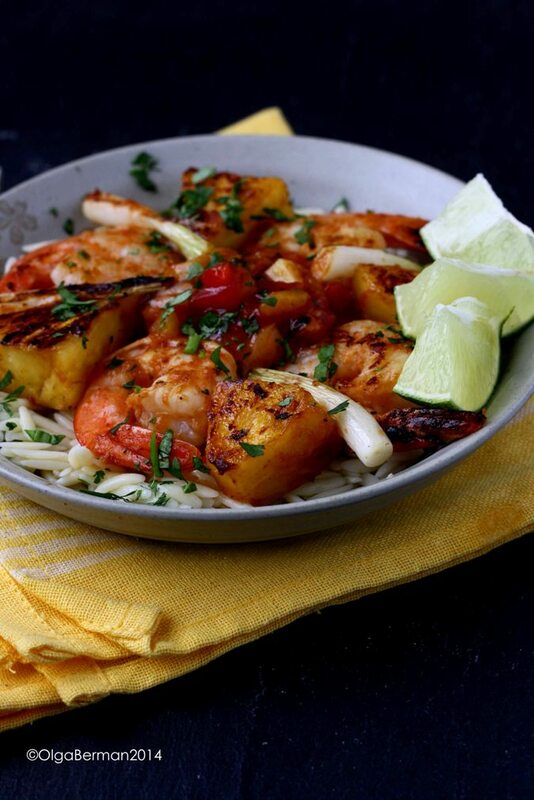 I ended up sautéing shrimp, pineapple and scallions sans the skewers in olive oil until the shrimp were cooked through and pineapple chunks were caramelized. 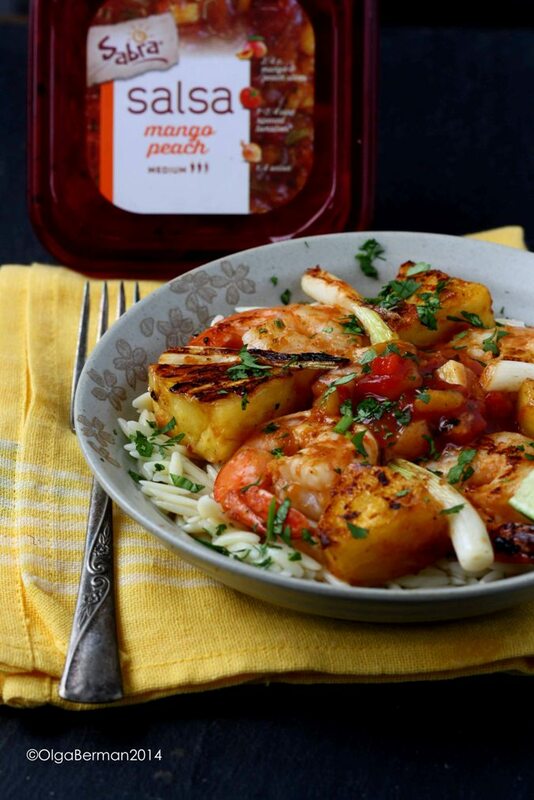 Notes: make sure to brush off the extra marinade before cooking the shrimp. 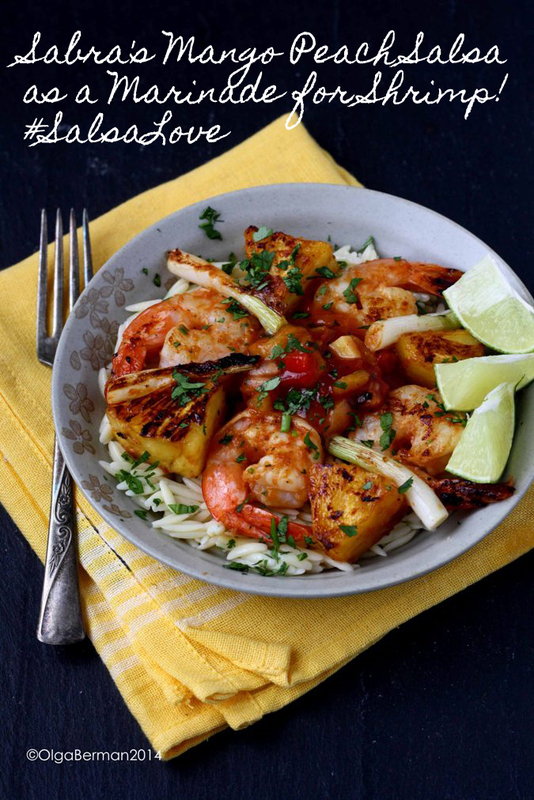 ALSO, you may need to take the shrimp out of the skillet before pineapple is fully caramelized in order to avoid overcooking the shrimp. I really liked how this dish turned out even though I failed on the skewer idea. You can serve the shrimp hot, but I also liked them as leftovers straight out of the fridge. Disclosure: Sabra compensated me for recipe development. All opinions are my own.